Greenfoot 3.5.3 is now released and available for download. This fixes a couple of bugs, in particular a memory leak which could occur in scenarios with large or numerous images. During prolonged use Greenfoot could run out of memory and crash. This bug is now fixed. More information on changes is available in the version history. Greenfoot 3.5.2 is now released and available for download. This fixes a couple of bugs, in particular a memory leak which could occur in the Java editor. During prolonged use Greenfoot could run out of memory and crash. This bug is now fixed. We recommend everyone to upgrade. More details are in the version history. Greenfoot 3.5.1 is now released and available for download. This fixes various small bugs, in particular one with clicking the mouse in scenarios with worlds larger than one pixel, and a few save the world issues (including it being missing from the top menu). In this workshop, we will discuss how to teach concepts of traditional object-oriented programming with Greenfoot and Stride. We will introduce the tools of the environment itself, discuss the Stride language (which is quick and easy to learn), and present pedagogical considerations: How do you best teach with Greenfoot? How do you create motivation? What are good teaching examples? Teachers will go through hands-on exercises of using Greenfoot and Stride, and work with a number of programming examples that can immediately be used in a classroom. Target Teachers: Teachers of computing courses, especially key stage 3. Some knowledge of programming (in any language) is assumed. Stride is a language that is ideal as the next step after block programming (such as Scratch), and leads into full textual programming. Greenfoot scenarios on your phone! 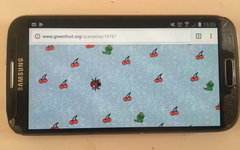 Greenfoot scenarios are now automatically converted to HTML 5 when uploaded to the greenfoot.org site - this has a number of benefits, including that you can now run Greenfoot scenarios on a smartphone! In the near future, we also plan to allow running HTML 5 scenarios in a “full screen” mode (which should be particularly useful for running on phones and tablets), and to allow embedding scenarios in other web pages (much as you can embed videos from Youtube, for example). Scenarios for which translation to HTML 5 was not successful can still be played by following the link to the legacy (applet) version, which requires the Java plugin. If you have created scenarios which didn’t translate successfully to HTML 5, viewing the scenario page while logged in should show you the log generated during the translation process which may give a hint as to what caused the failure (quite often, it will be due to use of an unsupported part of the Java API). There may be some minor teething problems, so if you notice problems with the HTML 5 version of a scenario, feel free to discuss them in the discussion forum. Greenfoot Live is taking a summer break and will be back after the Northern Hemisphere’s new academic year. The regular Greenfoot Live sessions will stop for the summer. Don’t forget: Recordings of the previous events are accessible at our channel. You can also bookmark the broadcast link and set a reminder to join us for the coming sessions next term. Join us for the next live session, where we will talk about what is going on at Greenfoot development level. We don’t generally have a fixed script for the LIVE sessions, but one of the topics we will talk about this week is what is going on at the Greenfoot’s development level. Recordings of these events are accessible for viewing retrospectively at our channel. Greenfoot is 11 today - getting into teenage years. It sounds like a very long time ago: Greenfoot 1.0 was released exactly 11 years ago today, on 31 May 2006. The project has come a long way since then. Many people have worked on it, and many more teachers have helped with creating material, using it in classrooms and providing feedback. 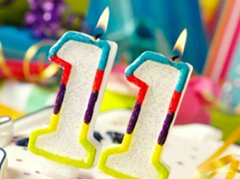 Greenfoot continues to be developed, adapted and improved - so here is to the next 11 years! Greenfoot Live started on 8 May and will be every two weeks. The second one will be on 22 May. To join the event, please visit this link where you can also set a reminder. Don’t forget to mark this date in your diary and join us! Join us for Greenfoot Live on 8 May 2017. Greenfoot 3 has been released – the biggest change in Greenfoot since its original release. This version of Greenfoot adds the Stride language and its frame-based editor to Greenfoot. Java editing, as we know it, is not gone: Java and its old editor are still present, and we expect that many people will still use Greenfoot with Java. Greenfoot 3 was carefully designed so that existing teaching material is still usable and existing instructions and tutorials continue to work. There is, however, now the added ability to write classes in Stride. Stride is a Java-like language, and its attraction lies not so much in language features, but in its unique frame editor: Half way between blocks and text, it makes the entry into programming much easier than it ever was before with an essentially text based system. It also eases the transition for learners coming from block-based systems, such as Scratch, Snap or Alice. The transition from blocks to text is a very pressing problem for many teachers at the moment, and it is frequently discussed at computing education conferences. Several research groups are working on addressing this issue. Where most other systems, however, support the transition by providing a dual system – code can be shown as blocks or as text, with transitions between them – Stride goes a different way: Instead of having two views to compare, Stride provides a single system that offers the main benefits of both blocks and text in a single interface. In doing this, Stride is uniquely placed to offer a new way to teach young learners who want to move on to full text-based languages. To get a first impression of frame-based editing, you can read this short description. And better still, download Greenfoot 3 and try it out yourself! Greenfoot 3 is nearing final release. Get the Greenfoot 3 preview now, see what is new, and help us with testing. Greenfoot 3 preview 2 is out now, and you can download it and try it out. 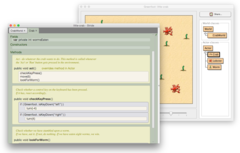 Greenfoot 3, with its addition of the Stride language and frame based editor for early introduction of programming, adds fundamentally new ways how you could introduce programming to beginners. Try it now to see what your instruction could look like soon. We would also welcome testing of existing, Java-based scenarios to make sure Greenfoot 3 continues to work well with all existing code and teaching material. So run your own scenarios with Greenfoot 3, and tell us how is goes. You can post any feedback in this discussion thread. 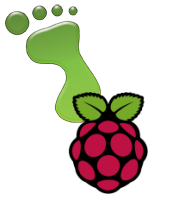 Greenfoot 2.4 is now part of the Rasbperry Pi distro! If you thought you need a fancy computer to get cracking on your Greenfoot programming, think again! and it is availabe in the start menu! Fancy a new editing paradigm? 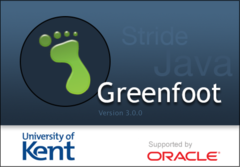 We have just released the second version of Greenfoot 3 Preview. This version provides many new features and functionalities, besides a lot of bug fixes. An explanation of frame-based editing, and more information on our new editor, is available here. You can get Greenfoot 3 Preview 2 here.